Things would be a lot easier for homeowners if their Minneapolis yard was flat. There would be no issues of runoff, drainage problems, etc. The truth, however, is that a lot of yards in Minneapolis are not entirely flat. Some homeowners feel like they have a lot of wasted space on their property because of the excess slope. Well, at BDI Outdoor Solutions, we have a solution that you may not have ever thought of. We build retaining walls for people in Minneapolis and MN that are eager to get more out of their yard. At BDI Outdoor Solutions, we take pride in the way that our Minneapolis, MN community looks. Over the last 20 years, we’ve given it our all to help residential and commercial properties achieve the landscaping look that they deserve. Our end goal with all of our landscaping projects to is create a look that will catch the eyes of anyone that stops by your property. That same passion flows into our retaining wall installation services. Working year around, we can meet with you at your convenience to design and create a retaining wall that fits your every need. If you are in the early stages, no need to worry as we offer retaining wall consultations for free. If your property is filled with slopes and hills that make a lot of your Minneapolis land useless, our crew at BDI Outdoor Solutions can help. Now is the time to invest in a top of the line retaining wall that will allow you to get more out of your yard. 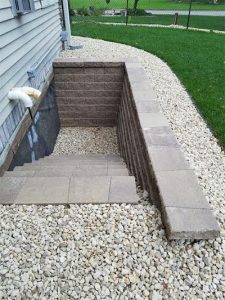 To learn more about our retaining wall services, give us a call today at (651) 235-7411 or email joemeyer@bdioutdoorsolutions.com.